Vintage stamps (I think most of these are Hungarian). Click on the image to see it larger. Really nice collection and YHAY FOR THE BLOGS WHITE BACKGROUND! :) It looks so much nicer. this is fabulous. i've debated doing one like this, myself. gives those little beauties we love to arrange and rearrange a space to have their conversations. lovely idea and execution. So beautiful. And I like the way they are placed. I'm not a collector at all but your blog makes me think twice. 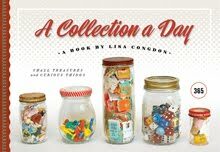 Great one, this collection! Love the blue feathers too. i love the tiny vignettes and warm hues. These stamps are exquisite! 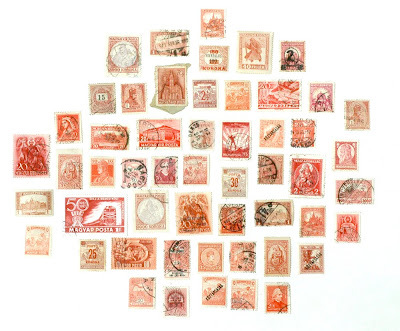 I'm a huge lover of anything red, and I love old stamps... put the two together and I'm drooling!